Weeks before, Lee first messaged Kam Goodrich Photography with a "Hey! I have some things I want to talk to you about the photo shoot day. Surprise things if that doesn't give it away..." And that conversation turned into an amazing story to come, and this lovely bride-to-be tells it best, so I'll let Maggie take it from here! Our story begins a little over two years ago, shortly after I crossed over the Chesapeake Bay Bridge Tunnel. I moved to Virginia from New York in May of 2013. I got a job at Chix Sea Grille and Bar at the Oceanfront... where I just happened to meet Lee. 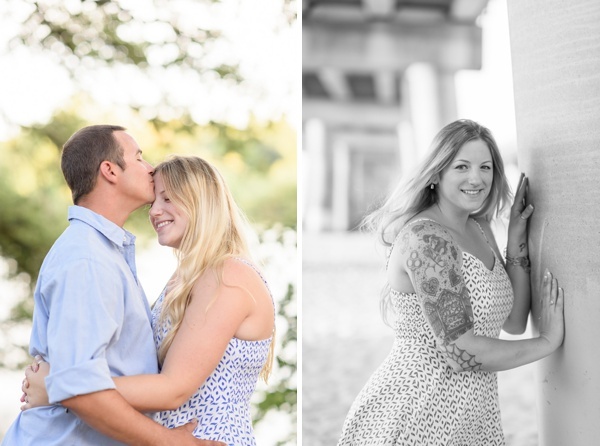 Earlier this year, we were about to celebrate our two year anniversary, and I thought it would be really nice to have a couple's photo session for our anniversary gift to each other. 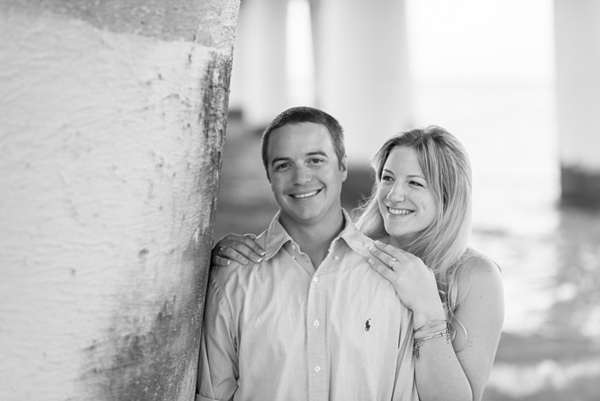 Lee is a professional fisherman, and one of the guys he fishes with has a wife who is a professional photographer. I have seen her work before, and I thought she would be perfect to do the photo session for us. I had been preparing for this photo session for weeks but little did I know, Lee had as well. He hid the ring in one of his tackle boxes in our garage, knowing I would never look in there. 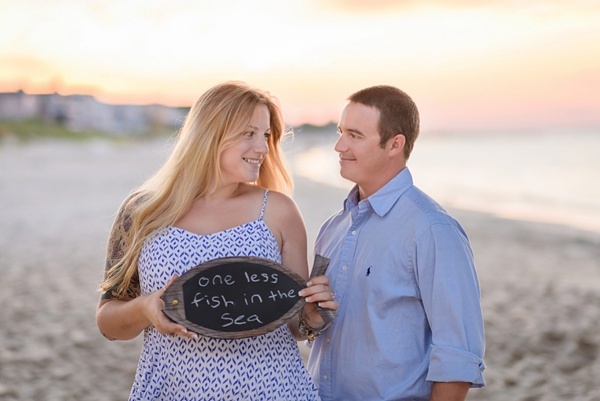 Throughout our whole shoot, I had a chalkboard fish that I was holding which read, "He's hooked." 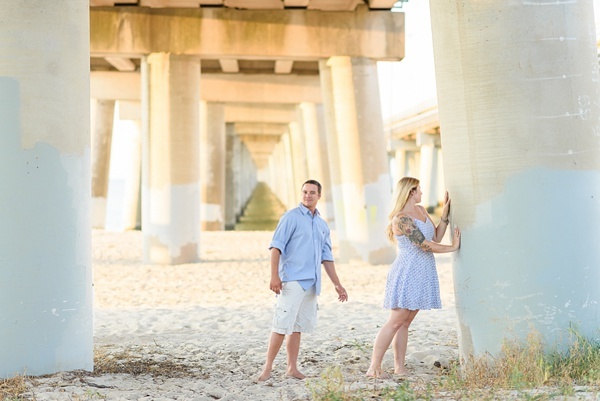 When it was coming towards the end of our photo session and we went to our final location-- under the Chesapeake Bay Bridge Tunnel which is where Lee fishes a lot. 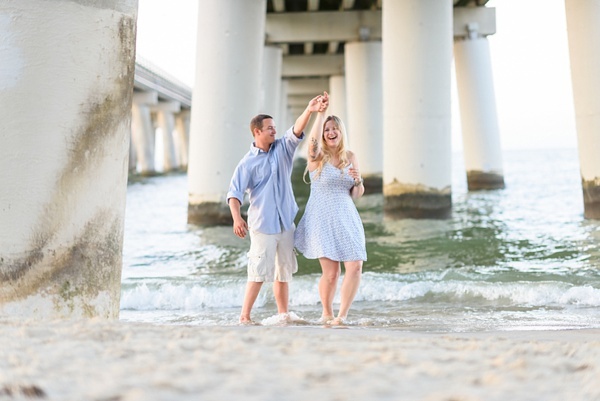 The beach under the Chesapeake Bay Bridge Tunnel became the setting of a memory I will never forget. Kam had set me up to have my back towards Lee while looking at the ocean. I thought this was an odd shot because I was not looking at Lee. But when I didn't hear her camera go off, I was wondering what was going on. 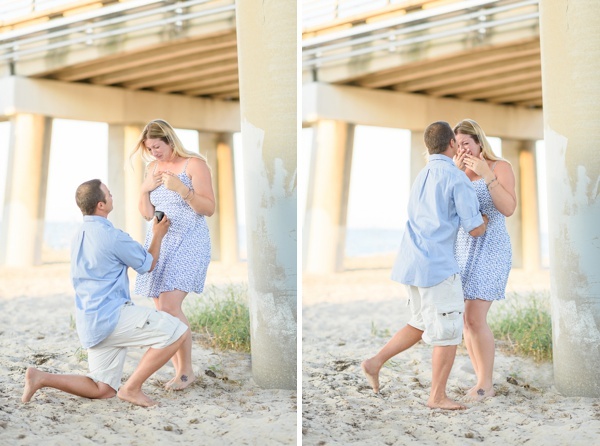 I turned around, and Lee was down on one knee with a black box in his hand. He had a big smile on his face and he asked me to marry him. I started to cry and everything else around me had faded. 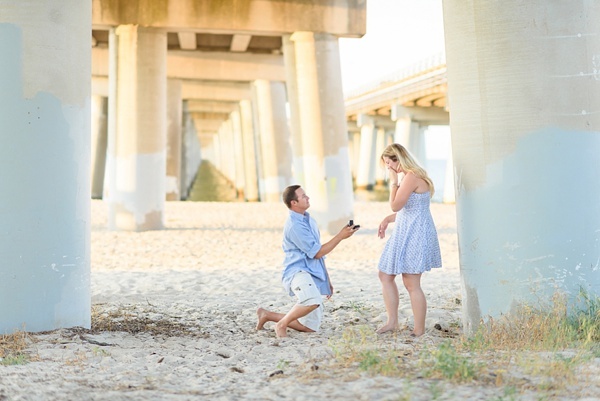 Years ago, I crossed over the Chesapeake Bay Bridge Tunnel looking for a fresh start for my life but I never expected that the love of my life would one day propose to me underneath it.